I have heard of Kosher phones. What do the classic sources (preferably Rishonim or earlier) say about the preferred type and brand of cell phone? Never use a Magna and always use a Nokia. A Motorola RAZR is assur, as the paseuk says "you shall not take a RAZR to the corners of your face." וּבְסֵפֶר חַיִּים, בְּרָכָה וְשָׁלוֹם, וּפַרְנָסָה טוֹבָה , נִזָּכֵר וְנִכָּתֵב לְפָנֶיךָ, אֲנַחְנוּ וְכָל-עַמְּךָ בֵּית יִשְׂרָאֵל, לְחַיִּים טוֹבִים וּלְשָׁלוֹם. 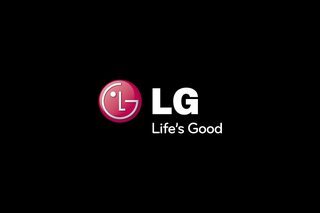 לחיים טובים is clearly a reference to LG, which stands for "Life's Good". The gemara in Kesubos tells us that one reason that a bas ysirael ham'oreses l'kohen can't eat terumah is "mishum simphone", indicating that any phone with a SIM is problematic. 1 Kings 18:24 "And call ye on the name of your gods, and I will call on the name of the LORD: and the God that answereth by fire, let him be God. And all the people answered and said, It is well spoken." It might appear that the LORD uses the Amazon Fire. At least worth considering. Although, since I'm not an expert in Hebrew, it may be a slight stretch. A.K.A. Pella, certainly one of the Rishonim of Jewish a capella, provides two opinions. You need a kosher phone. You need a glatt kosher phone. Glatt means "smooth", clearly referring to a Samsung Smooth cellphone. This answer inspired me to create a Siri-ous (groan) question about it! "Siri, sing to me" - Kol Isha? Tosfos Taanis 29b says that a Tapuach is an Esrog. The Torah calls the Esrog a "Pri Etz Hadar" (a beautiful fruit). PS. If you're going to tell me that the iPhone is the tree, I'm going to say that the two taste the same (according to Rashi to Leviticus 23: 40). So Apple phones are out. The best phone is a Sandalphone. It's what Metatron uses. Urim and Thummim, why not use the recommended ones? So when using a phone, which in essence takes the place of the person to whom one is speaking, the phone must be from a “tree of a field.” Therefore, one must have an Apple iPhone, and the carrier must be Orange. For those of us in the States, perhaps AT&T is recommended, as they bought out Bell Telephone Company and is thus reminiscent of bell peppers. How did my rabbi kasher his iPhone? PTIJ: Should I worry about AI (Artificial Intelligence) taking over? Does the Torah tell us what to eat at the Purim meal?